The contemporary look of this Artistic Weavers Ayolas runner adds style to any room. Decor does not have to be hard with this plush synthetic indoor/outdoor rug. This product is hand-made, which assures quality. Upgrade the decor of your modern home with this floral plants patterned yellow rug. This unique and stylish Artistic Weavers Frutillar runner will tie any room together in your home. Bring this high quality plush synthetic indoor rug into your home to upgrade your interior design immensely. This rug is hand-made for convenience and quality combined. This geometric patterned red rug makes a contemporary mark on your home's interior design. This Artistic Weavers Jangeldi runner adds a touch of modern flair to the design of any area in your home. Great quality is assured with this indoor/outdoor piece made out of plush synthetic material. Its hand-made construction is sure to endure the constant treading of feet and furniture. Quality interior design comes in the form of this floral plants patterned blue rug. 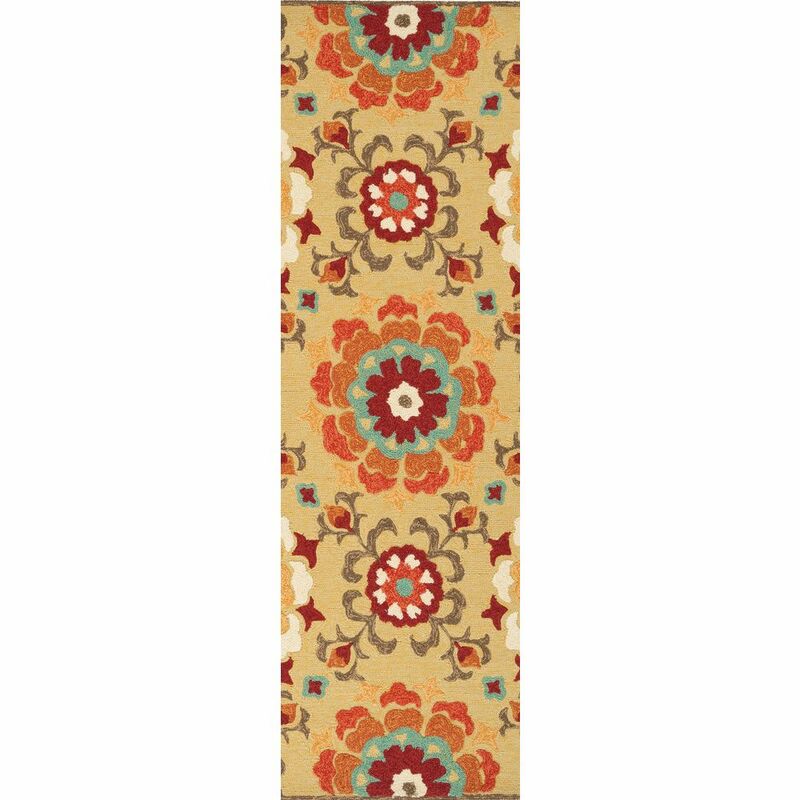 Ayolas Yellow 2 ft. 6-inch x 8 ft. Indoor/Outdoor Transitional Runner The contemporary look of this Artistic Weavers Ayolas runner adds style to any room. Decor does not have to be hard with this plush synthetic indoor/outdoor rug. This product is hand-made, which assures quality. Upgrade the decor of your modern home with this floral plants patterned yellow rug.